Growing Up Green : HOLD THAT POSE!!!!! 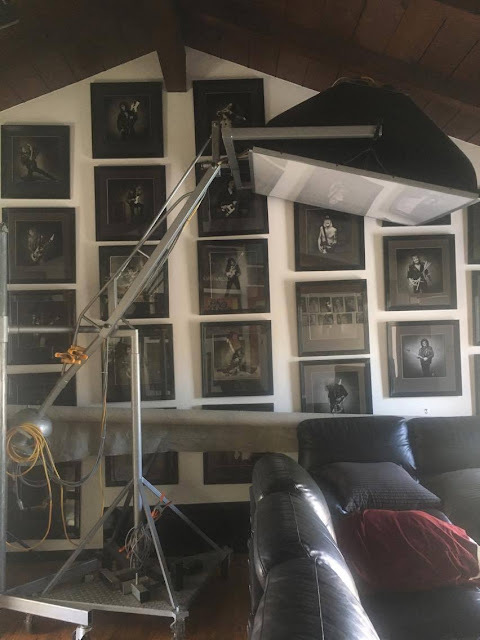 In 1997, we entertained a photographer at our Phoenix home, who had been flown in, courtesy of a guitar magazine. 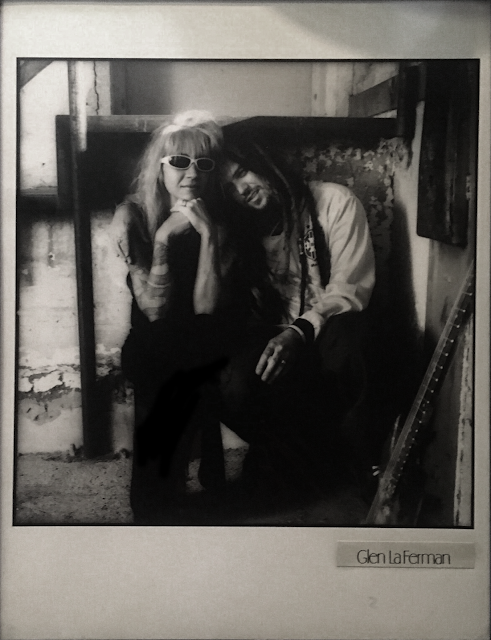 We didn't know it at that time, but in walked Glen LaFerman, one of the hottest rock photographers in the business and soon-to-be-in-the-future-adopted-friend/family-member!! He has our family's life in photos going back to Soulfly 1, and even took my favorite shot ever, of Max and me. 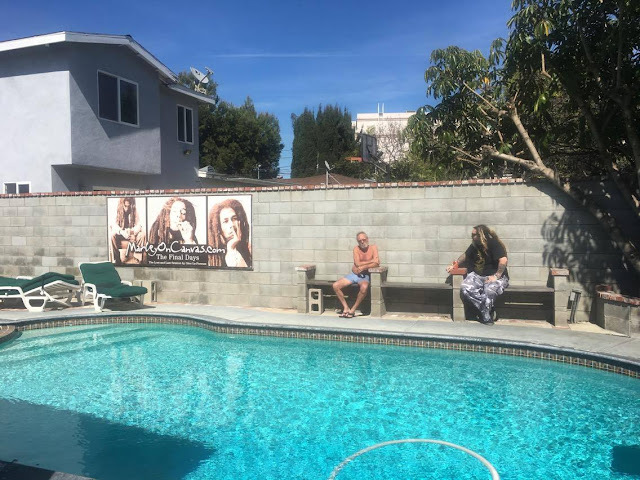 I will never forget that first day....after the shoot was over, Glen said he wanted too chill in our backyard, by the pool. Of course we were cool with it !! A few minutes later, when I looked out the kitchen window, there was Glen, standing and loving life, but stripped down to his Tidey Whiteys! Max was like "whoa, there are young girls here; can you put your pants on?" We all laughed and said "those Californians!" Jokingly, of course! Glen decided to spend the night, so we offered him a private room at Christina's apartment. When she woke in the morning and couldn't find Glen, she went outside. He was soaking up the Arizona sunshine, drinking a beer and smoking his cig, in his Tidey Whiteys, on her balcony! We still crack up at this! Glen's history as a rock photographer has been unmatched. From his first band member shoot ever, which was the famous Corky Laing from Mountain, to KISS, to Bob Marlie, he has more notches on his camera strap than any photographer I have had the pleasure of working with! He was the staff photographer for RIP Magazine, all the guitar mags and countless recording sessions. He has shot Eddie Van Halen since the beginning of his career. His photos of Ozzy wearing the maid's dress in his hotel, made me smile! KISS has adorned their tour books, clothing and lunch boxes with Glen's shots. 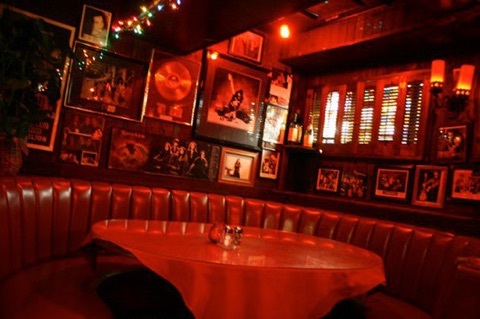 And we all have seen the photos in the Rainbow Bar and Grill on Sunset....all Glen's visions. Glen was very honored to show Max and me the Max shot, he had placed in the Rainbow. We were surprised to see Max in there with the heavyweights....Slash, Eddie, Gene Simmons, Ginger Baker, Ozzy, Jeff Beck... Unfortunately some time later, a cunning fox made off with all the photos in the room where Max's photo was! 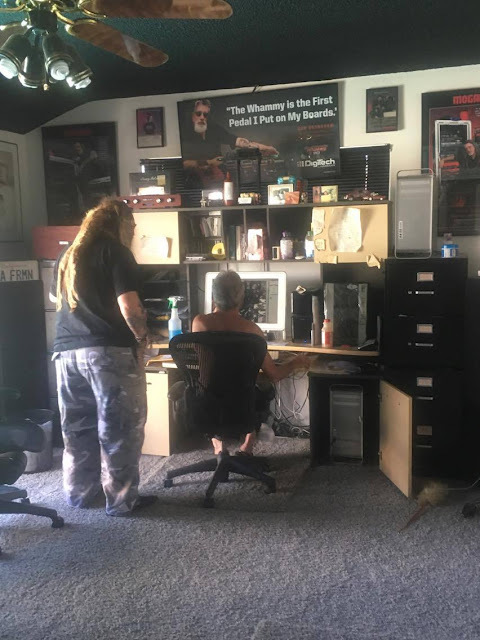 Glen's studio is in his living room. Through the years, he has perfected every shadow in his black and white portfolio, in this very location. 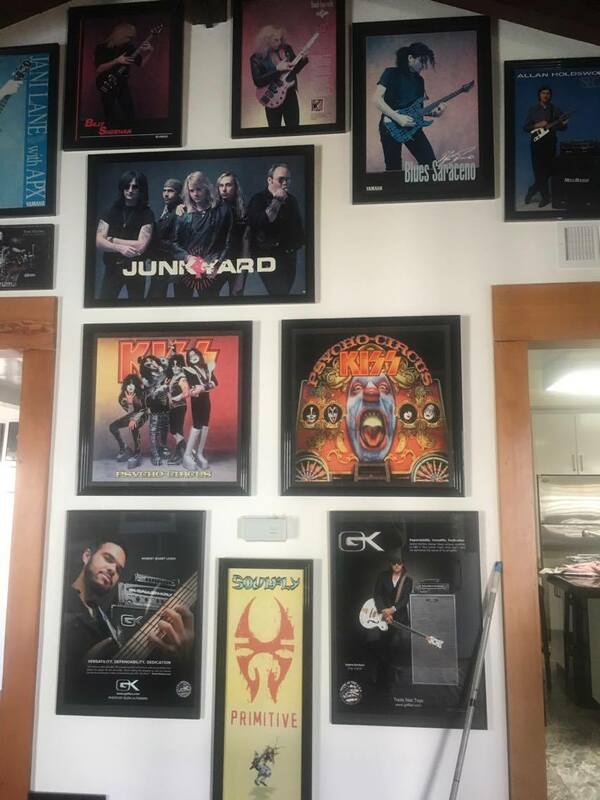 His walls are a museum of rock history. 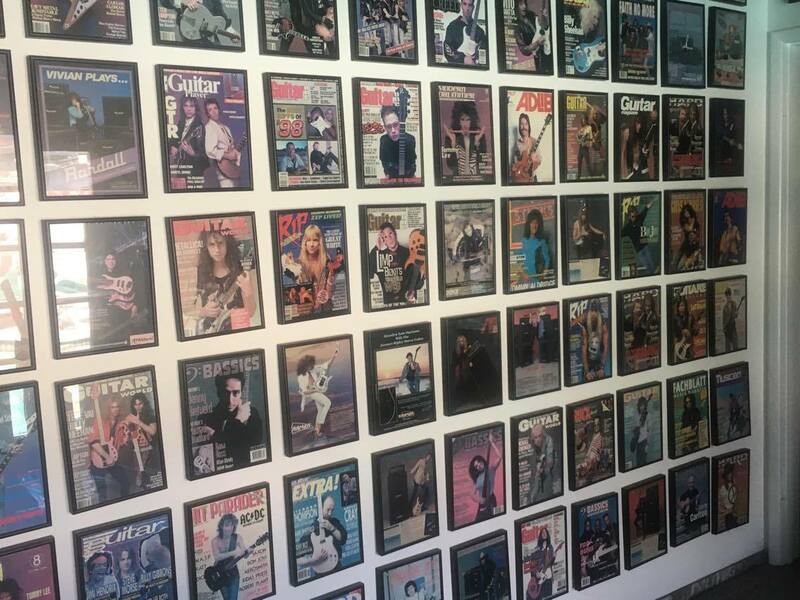 One room has so many magazine covers on the wall, you can't even focus on them! They are only a fraction of his work! Recently, Max and I paid Glen a visit. I had Max detain him while I snuck a few shots for the blog, without Glen's knowing! Glen, if you are reading this...it has been an honor to know you, to work with you and to reminisce with you. You have graciously shot our family through time, even capturing Incite through their evolution and Zyon and Igor's Moldbreaker to Lody Kong transition!! Long after we are all gone, your photos will tell our story! One of our favorite times was going to Bank One Ballpark in Phoenix, for a SIT String's shoot. The ballpark was just starting construction and had many photogenic opportunities. Unfortunately, soon after starting the shoot, a foreman walked up and kicked us out. Max said "it's ok. I am going to play here some day when you finish building!" We laughed and snuck around to another corner and did the deal!! Secretly, Glen shot photos of Max and me, and the shots of Max with his guitar. And guess what...on December 31, 1998, Soulfly opened the New Year's Evil Ozzy festival, and became the first Metal band to ever play Bank One Ballpark! We all have seen your Bob Marlie shots, taken only a couple months before he succumbed to cancer. The expressions and emotions in this shoot are some of the most intense Marlie shots in existence. 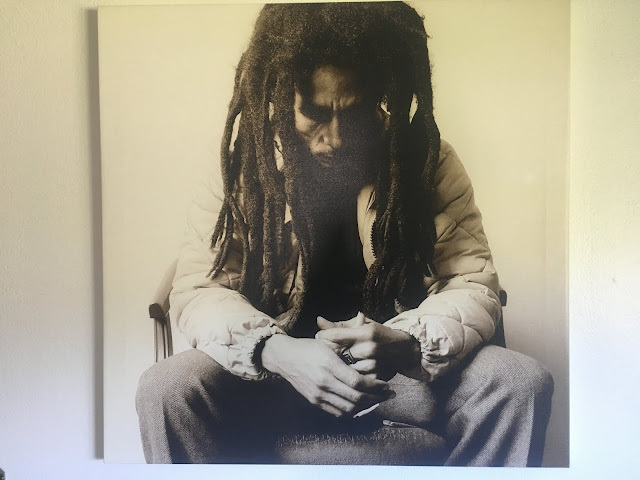 Recently, Glen was honored with a display and plaque inside the Bob Marlie museum in Jamaica. It is a honor well earned. The music world of business and fans can never thank you enough for the history you have logged and given us!!!! Very proud to be a part of it!! PROUD TO COMMIT COMMERCIAL SUICIDE!!! !